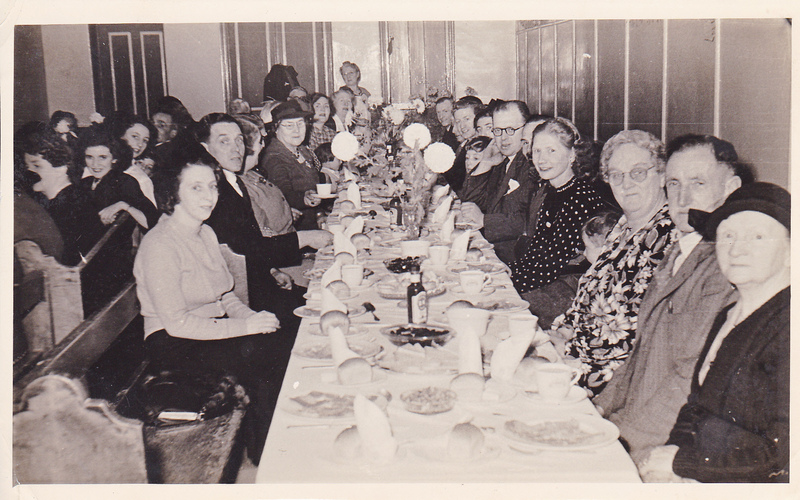 Family and friends of Mr & Mrs T. Belcher Snr. 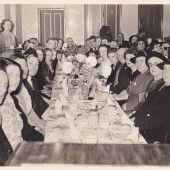 celebrate their Golden Wedding in the chapel school room, on 21st December 1951. 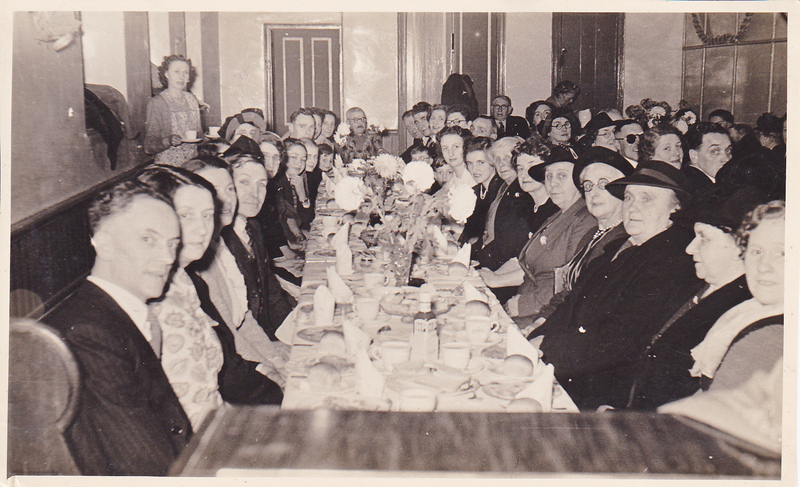 Right hand side: Sissy Davies, Mrs Attwell, Mrs Davies, Mrs Harris, Mrs Powell, Mrs Gregory, Mrs Mary Chivers, Joan Davies, Jean Preston. 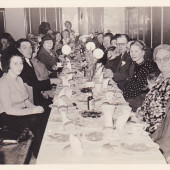 Left hand side: Wilf Hewitt, Mavis Wall. Any information on names wold be appreciated.